I took the bus (about 50 minutes) into Bundang today. The first time I went to Bundang was with my co-teacher during my first week here. I needed to have some medical tests done at a doctor's office in order to apply for my Alien Residency Card. And for whatever reason, I hadn't been back since. But fueled by my new mission of obtaining a Korean textbook/workbook, I went to Bundang to avoid an even longer trip back into Seoul (two days in a row, no way!). I went to the Kyobo Bookstore near AK Plaza (Seohyeon Station). I'm reposting directions here in case someone else is wondering how to get to the Kyobo Bookstore in Bundang. From inside of AK Plaza, exit out of doors (gate?) 6, next to Gucci. When you exit, you'll see "Mad Garlic" on the left. Keep walking straight down the pedestrian area (past many shops and restaurants) until you get to a street. Cross this street, and then to your left you should see the words "First Tower" on a tall building, with this café/deli on the ground-level floor. Outside of the café there are stairs going down (where the girls are leaving from in the photo below) underneath a Kyobo sign. Take the stairs down and you've made it! I spent the longest time looking at the various Korean textbooks. I wanted something with written exercises, as well as a CD for audio. In the end I bought two different textbooks. The first, Practical Korean 1 - Basic (Cho Hang-rok, Lee Jee-young) is a set with a textbook, workbook, and CD. It cost W 20,000. 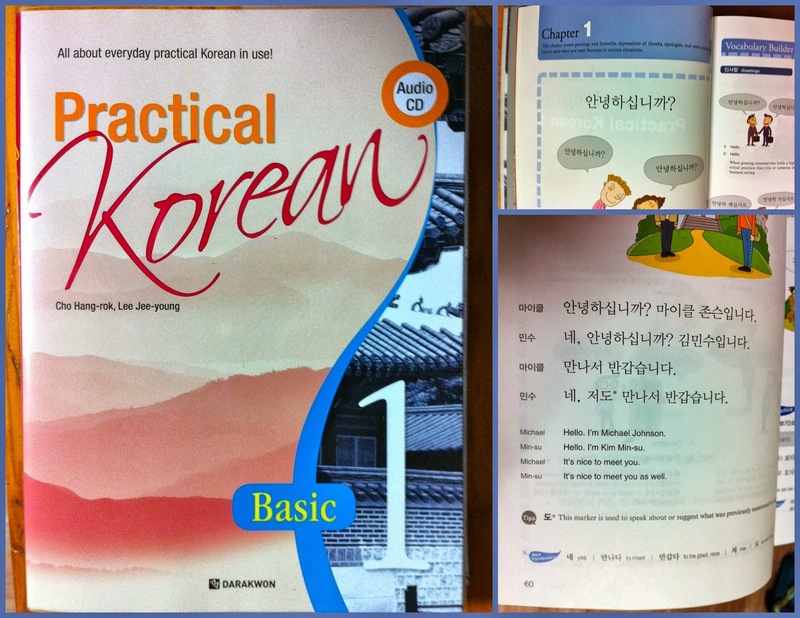 Each unit in the textbook has the following 11 pages: Vocabulary Builder, Dialogue, Grammar 1, Grammar 2, Grammar 3, Listening, Speaking & Writing, Writing, Pronunciation, Window on Korean Culture, and Self Study. And then I get even more practice (both writing and listening) in the workbook. The first 45 pages are an introduction to Hangul in 4 parts, so I've started there even though I've already learned the alphabet. More practice never hurts, and this book is introducing vocabulary in this first section that I want to learn. So far I'm halfway through the Introduction to Hangul. I'm optimistic about my self-study with this book; expect a review once I make it further. 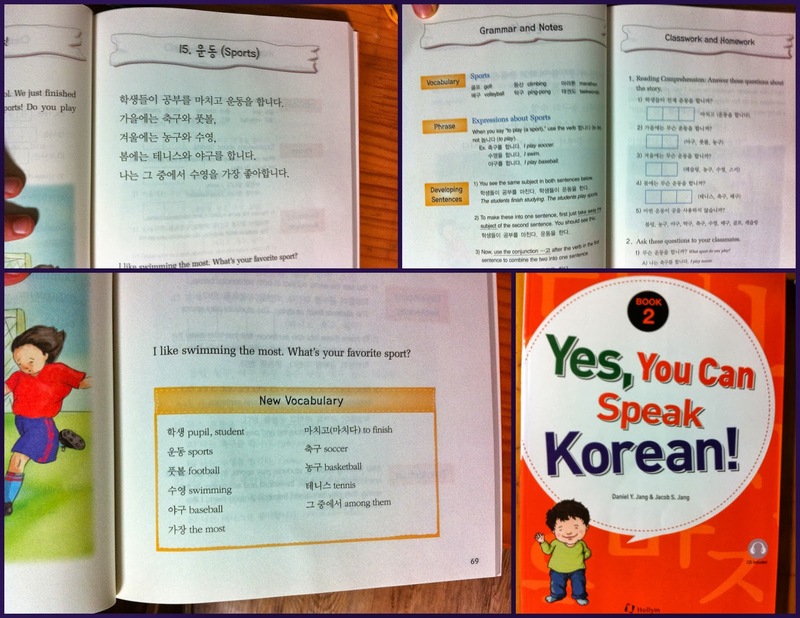 The second book I got is for younger learners, and it's called Yes, You Can Speak Korean! Book 2 (Daniel Y. Jang & Jacob S. Jang). It cost W 15,000. Each 4-page "chapter" starts with a short paragraph entirely in Korean. New vocabulary is presented below, and on the following two pages there are grammar notes, comprehension questions, and some other short fill-in-the-blank or translation activity. It comes with a CD, so I'm assuming I can listen to these readings on there. I'm not sure when I'll start with this book, but I figured two different approaches might help me out. A review will follow once I've dipped into this book, as well. Where: First Tower, 266-1 Seohyeon-dong, Bundang-gu, Sungnam-si, Gyeonggi-do. I really think the example in that textbook should be, "Hello, I'm Michael Jackson." That would be far more practical. Hah, that would be miles more practical!